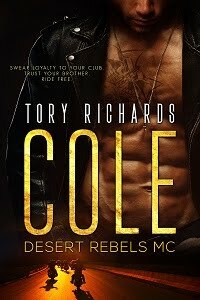 TORY RICHARDS: Want a chance to WIN an Amazon GC of $50.00? Want a chance to WIN an Amazon GC of $50.00? Congratulations Karen H! 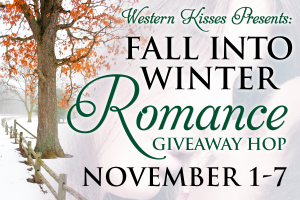 You win a copy of The Mating Ritual on 11/15! I'll be in touch. Grand Prize – $50 Amazon.com gift card. Participating authors also giving something away. Good luck! Winner - Mandy Marie Earles! Most of you know I have a new release coming out this month, on the 15th, THE MATING RITUAL. It's my first paranormal and I thought now would be a good time to introduce you to my new hero, Cormac. Toni swung around and stared at the man in shock. One thing she knew for certain, he wasn’t Bigfoot. But he was big, possibly seven feet tall. And he was definitely human, his features were rugged and strong and not totally unpleasant. He had long brownish hair that appeared streaked with blond, his brown eyes conveyed intelligence and something else that she couldn’t quite put her finger on. Leave a comment and your email addy because one lucky reader is going to receive a copy of The Mating Ritual! My eyes popped when I read how tall he was and again by his description. Love paranormal romances and I'm looking forward to learning more about Cormac. I think this is a book that will require the wearing of oven mitts to hold and sunglasses to protect the reader from the heat! I'm glad to hear that Leni. Cormac is big...ALL over! As most of the Oh-Mah people are. I hope you enjoy the story when it comes out. LOL, hi Karen. If you like hot, steamy and explicit scenes you could be right. Thanks for coming by and leaving a comment, and good luck with the hop. This sounds like it will be a very interesting book. I love books about shifters and this one sounds hot!!! Can't wait to read! Wow, what a description of the hero, he sounds yummy! WOW I can not wait to read your first paranormal try. I sounds very hot!! thank you for your part of the hop. Thank you Sherry, Eva and Jen! I hope you're having a good time, and I'm glad you stopped in. Thanks Jean, he's a biggin! Hi bn100, thanks for coming by! I hope you enjoy it Felicia! Thank you for stopping by and leaving a comment. Congratulations on the release of your new book! Love paranormal romance. Thanks for the great giveaway. Jesus, I love Cormac physical description, I may have drooled a little. The book sounds great! Thanks for the chance to win!! Shifter romances are my all time fave. Thanks for the great chance to win! Hi Eva, magic, booklady, Daniel, Amanda, Krysykat, Shadow, Rhonda and Elizabeth, thank you all for stopping in and leaving a comment. I hope you had some fun with this hop and that you all won some prizes!